The Doobs rock @ Cisco. You don't know me, but I'm your router. 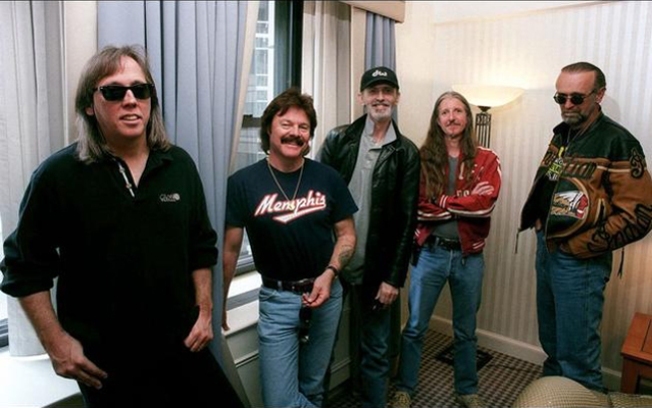 The Doobie Brothers, famous for hitting the road and bonding with loyal fans, are taking a different route with their latest tour. They are playing not in a winery or arena, but inside the headquarters of a Silicon Valley technology company. Cisco Systems is hosting the Doobs, who will play not in front of screaming fans, but in front of Cisco Telepresence cameras in San Jose. The show will be streamed, live, via Telepresence, to Cisco offices all over the world and below using Qik. The technology usually used to bring executives together over fiber will now connect one of the world's most popular and long-lasting rock bands to its fans. This is not an entirely new idea. Shortly after 9/11, the band Cake decided hopping on planes for the European leg of its world tour was not such a great idea, so they gathered at Yahoo headquarters, invited fans to tune in via the web, and broadcast their entire show online. We were there for that one, too, and while a little strange (and, because it was about 8 years ago, a little bit herky-jerky), the whole thing felt intimate and original. Can an old-school rock and roll band mesh with new fangled technology? This ought to be fun to see. After all, if it works for a bunch of guys in suits taking a meeting in China, why not a bunch of rockers playing "China Grove?"